The Environmental Defense Fund (EDF) pioneered from 1967 in bringing scientific evidence on environmental issues to the courtroom. 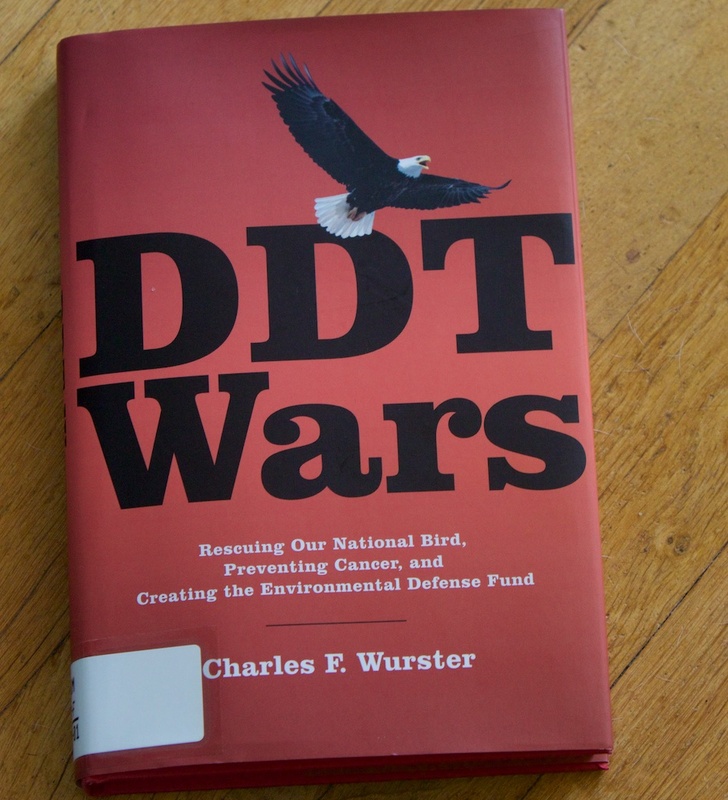 One of it’s four founding fathers Charles Wurster details it’s war on the pesticide DDT in ‘DDT Wars’ (2014) up to 1972. In that year on June 14 lawyer William Ruckelshaus of the Environmental Protection Agency (EPA) issued it’s cancellation for use in the USA. He thereby contradicted the advice of the judge Edmund Sweeney, who ruled in favor of the pesticide-industry. The newly created EPA under Richard Nixon wanted to make it’s public mark, and thus overruled court on the substance that was made famous by Rachel Carson (1962), and the song of Joni Mitchell (1970). Ruckelshaus later became the FBI-director, but also part of the Brundtland Commission on Sustainable Development (1984-86). Like many ‘environmentalists’ as Russell Train he became part of the globalist-elite that imposed ‘environmentalism’ as a form of ‘soft power’ to pursue US power- interests from Earth Day (22 april 1970) onwards. From population-control (Club of Rome) to popular culture-control through corporate media. The period that Wurster describes saw the merging of Malthusianism (the elite ‘Population Control’-movement related to colonial internationalism) with popular and genuine concerns on public health. These popular concerns were related to unrestricted use of chemical substances generated by Rachel Carson’s Silent Spring (1962). While protecting hawks seemed a nobel cause, the (unintentional) alignment with interests of neocon- and liberal warhawks advancing American imperialism may not be in the public good. Nevertheless, this happened through institutions like the United Nations. And through the financial arm of the Bilderberg-group and the Pentagon, with Pentagon-officials serving as subsequent directors like Neocon-warhawk Paul Wolfowitz, Robert McNamara, James Wolfensohn: The World Bank. Through WWF’s Thomas Lovejoy, the Worldbank also started the Debt for Nature-scheme (involving 10 billion dollars): making countries like Peru pay off Worldbank-generated debts by paying for the BINGO’s (Big Green NGOs), or by handing over local lands under NGO-control. CIA-related foundations like the Rockefeller Foundation played their part as well. Pe with it’s Bellagio Center both housing CIA-meetings as well as the meetings leading up to the creation of the IPCC with Bert Bolin, and the preparation of the Rio Earth Summit (1992) with Canadian Rockefeller-protegee Maurice Strong acting as Secretary General. 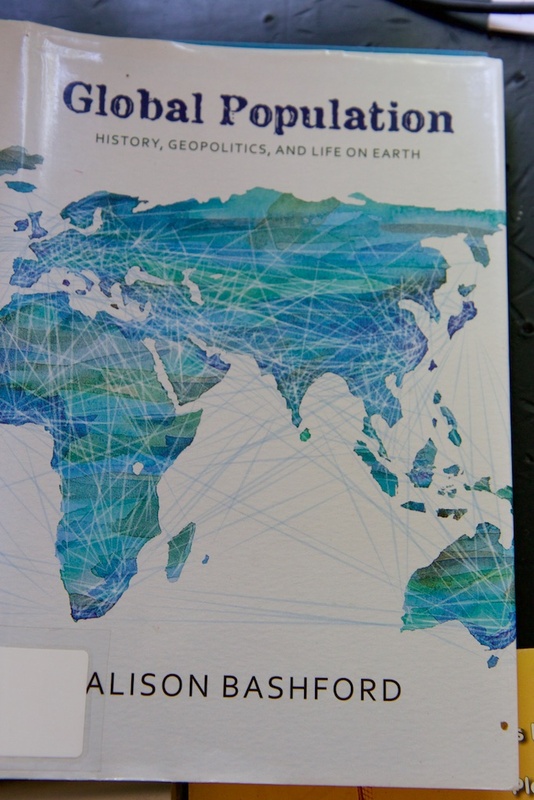 It is obvious from ‘DDT-wars’- that Wurster his world view has not advanced in past 50 years, incorporating broader geopolitical world-views than the romanticism of some Long Island vagabonds. The succes of environmentalism, the generation of public support through corporate media like Time was not the grassroots spontaneous event as he wants to believe. It was seeded from above with corporate money. He has not informed himself on the way the environmental movement was (partly) hijacked for corporate, elite and governmental interests. The Bootlegger-Baptist-theory of Bruce Yandle may serve as insightfull: how seemingly contradictive interests may merge into serving a shared agenda. This point – the same dialectic- is also made by Alison Bashford in ‘Global Population’, her history of the Anglo-American population movement. 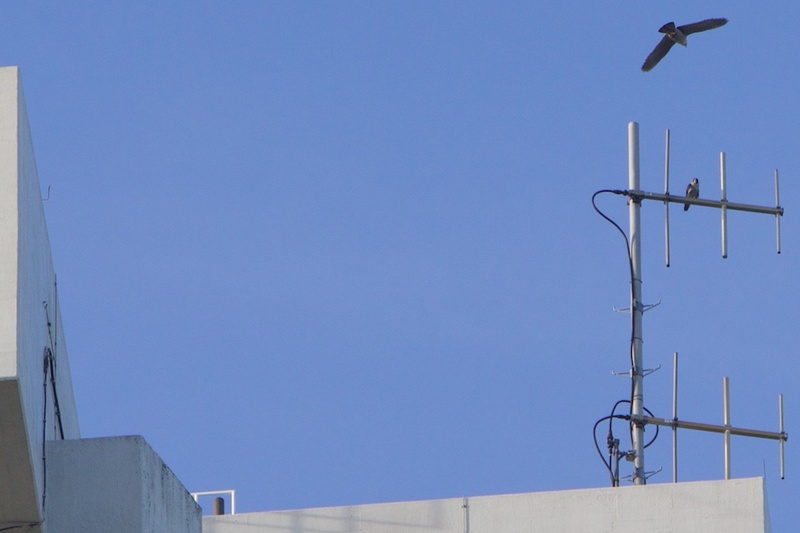 Saving the Peregrine: Thank You! Wurster’s book is however a usefull account of the pioneering work that was needed, when no environmental law existed in the USA and the Western world in general. As Wurster describes- some judges had to look up the word ‘Ecology’ in the dictionary, when EDF first started in the 1967-72-period. Wurster delivers a convincing case, that he and his colleagues were truthfull in presenting the available scientific evidence, on wildlife-harm caused by unrestricted use of DDT. For pest-control in agriculture, better alternatives than persistent DDT (and especially the lethal Dieldrin) were available. The risk to wildlife was not worth the economic benefit. Presenting an alternative for pest-control proved their cases more effective. 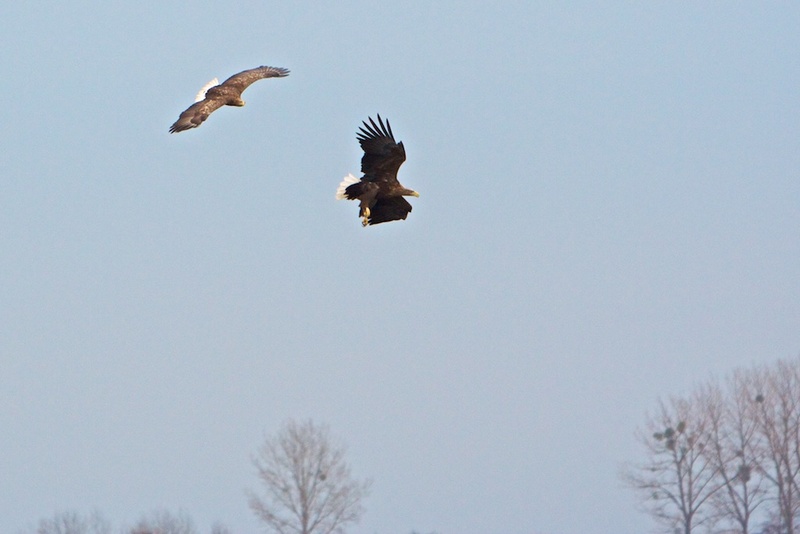 We have seen the recovery of ospreys, peregrine falcons, bald eagles both in the US and Europe. Those were the species most susceptible to DDT, by the accumulation of the persistent chemical in their body-tissue, because DDT and it’s byproduct DDE is soluble in fat. 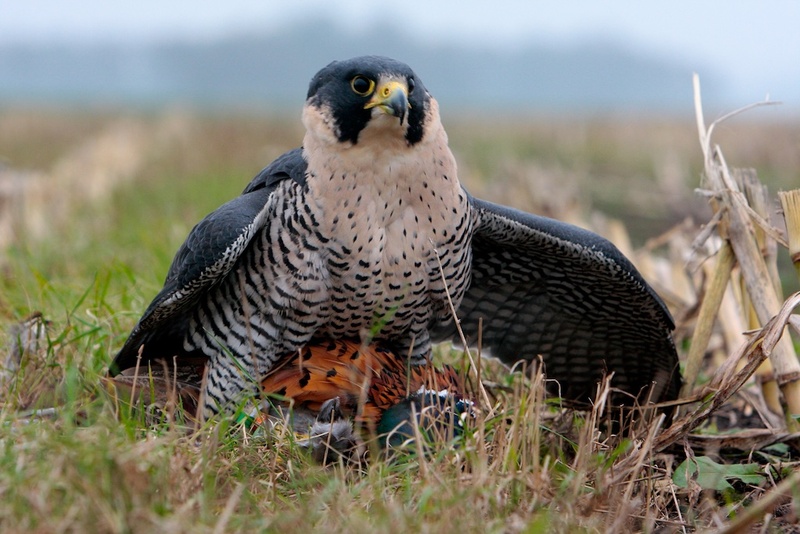 From a falconer’s perspective, the subsequent banning of DDT has been one of the ecological success-stories. Although, equally important may have been the growth in public appreciation of raptors, thus allowing better protection after centuries of persecution by hunters, pigeon-fanciers and like. From the ’60s onwards, the hunting-lobby lost it’s power and in The Netherlands hunting is strictly regulated. The most common bird of prey in Holland now is a generalist, the buzzard, that colonized open farmland after being a rare dweller of forests. And according to Wurster’s accounts on DDT-vulnerability, generalists were not harmed (in the same amount) as raptors feeding solely on insect-eating birds and fish. Thus the succes of the buzzard and other non-specalist raptors contradicts the ‘It was DDT’-story in favor of ‘better protection and less hunting’. The good part of ‘DDT-Wars’: Wurster highlights the importance of science-based advocacy of wildlife-protection, and the success that a concerted effort can achieve. If one restricts it’s goals to achievable objectives, instead of ‘saving the whole world’ or ‘transforming all human behaviour’. I was familiar with this effort from the falconry-literature, the work of Tom Cade, the Peregrine Fund and it’s captive breeding-programme, Derek Ratcliffe, and the work of Christian Saar of the German Deutscher Falkner Orden (DFO). For the advocacy-work in the courtroom to obtain a science-based ban on DDT, Wurster can pride himself. And a big thank you may be applicable. However, Wurster is patently dishonest in portraying the ongoing myth of environmentalism as ‘grassroots’-organisation: idealists serving the public good. This image is still at the heart of their fundraising. However: The contrary has more and more become the case. Greens evolved – by adopting non-scientific neo-malthusianism- into the propaganda-arm of Big Government and global technocracy. 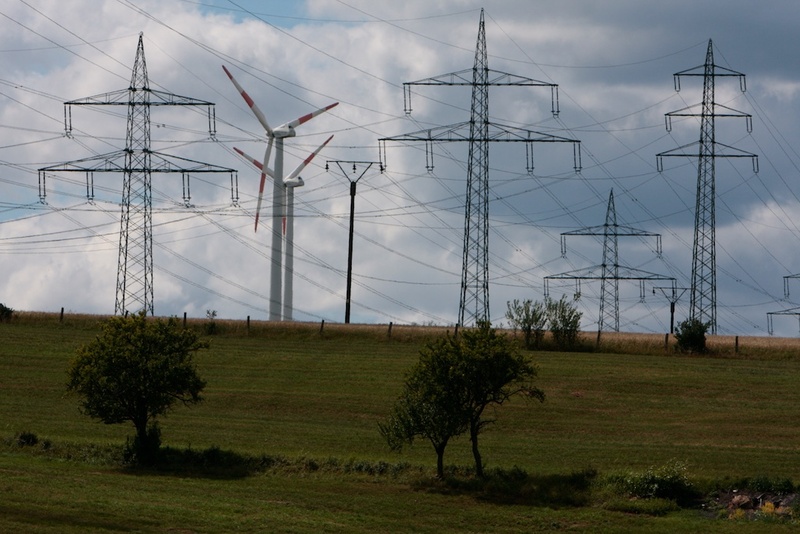 Their advocacy for land-consuming energyforms – coined ‘renewable’ by political decree- includes the destruction of forests and construction of windfarms in bird-areas. 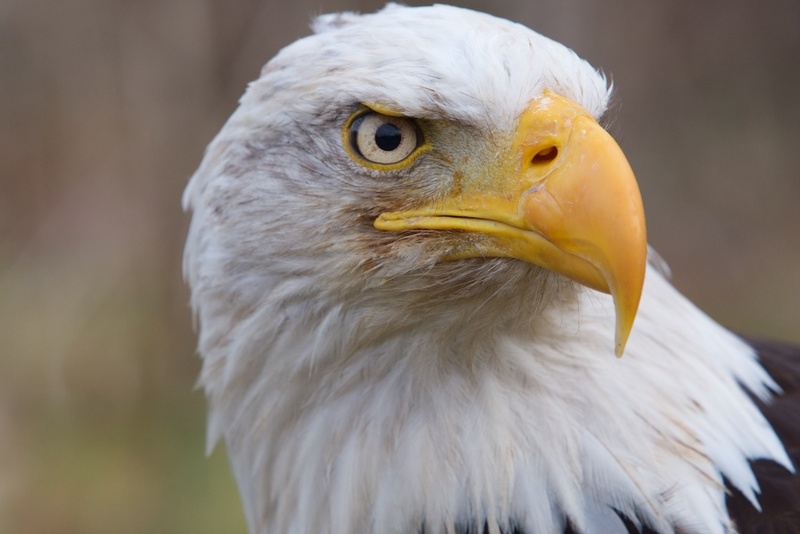 Thus greens support the largest current threat to birds of prey, and the integrity of bird areas in general. 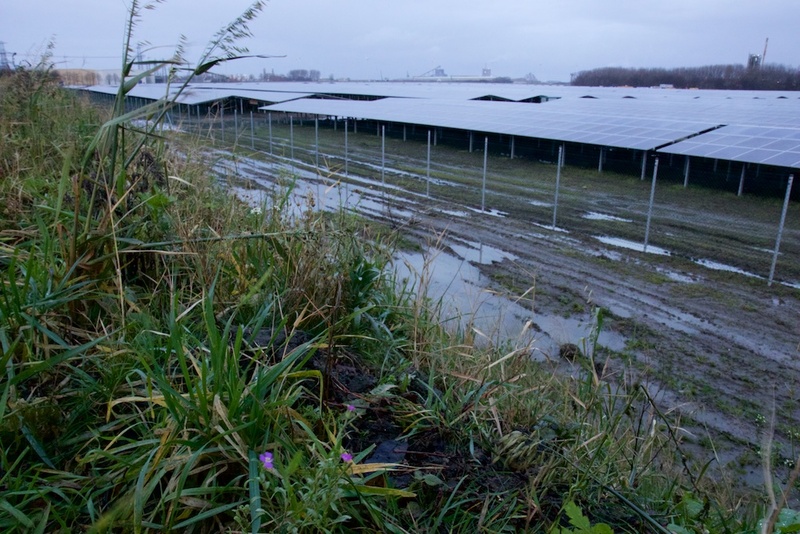 If their plans of a great transition to land-consuming renewables become reality, they are responsible for the greatest ecological catastrophe in history. So Wurster serves himself with the romantic story of 4 bird-loving academics that start of in their spare-time (which they seemed to have a lot) from a dusty old Long Island farm-house. Which was worth reading and is a story that deserved to be told. But this romanticism does not align with current day reality; that of a Green Frankenstein-movement which should have been terminated after the DDT-wars were won. Now 50 years later, EDF has become a multi-million dollar green multinational, shifting from the DDT-wars to the Climate Wars. An organisation of which the main objective has become to sustain itself, regardless of the effects of their campaigns to civil liberties, energy-prices and thus freedom to spent one’s money to more than taxes. The greens their mal-treatment of scientific evidence in their campaigns- and the effects on their proposed policies on natural beauty – is a legitimate concern to thinking persons. It is not an ‘industry-funded’ conspiracy, as Wurster makes his readers to believe. By neglecting the core issue of nature conservation and the shifting focus on ‘climate’, the Greens may have become the naturalist’s worst enemy. 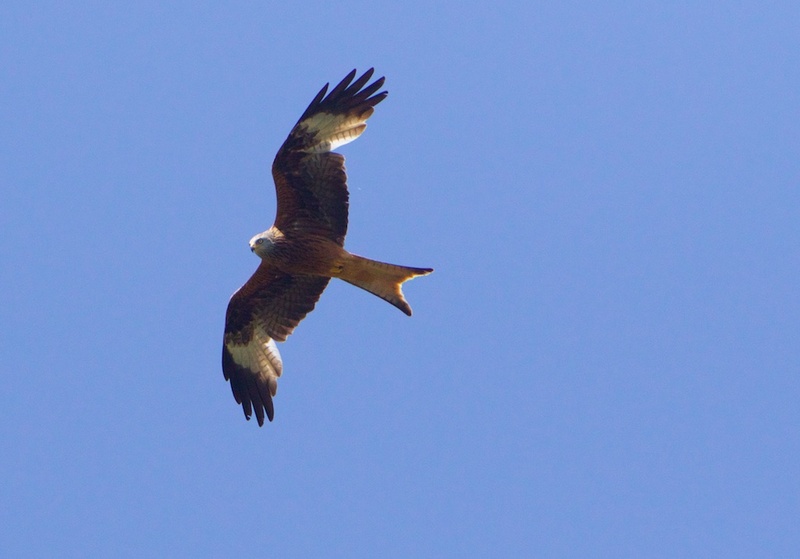 An example is the threat windfarms in Germany pose to Red Kites, where app 10 % is killed annually by wind farms and app 400 thousand bats of various species. 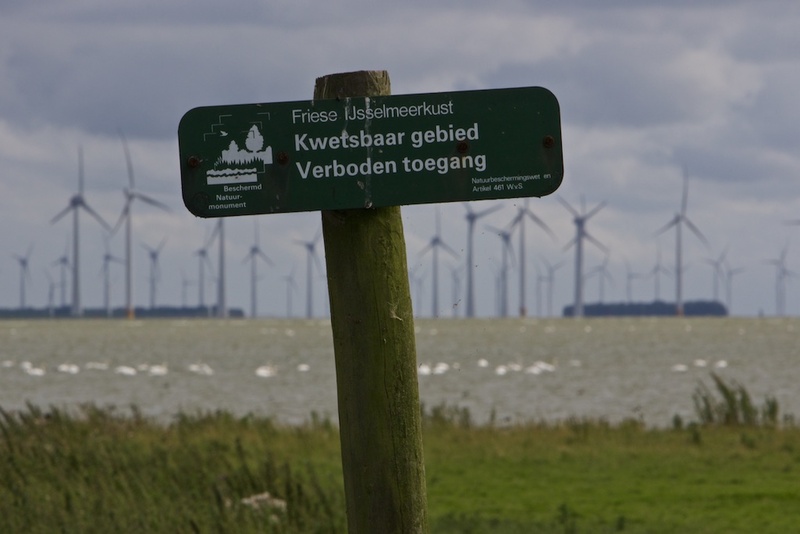 In the Netherlands, large windfarms are erected in and near bird areas, with support of the greens aligned with government. Now the new conservationists are civilians opposing windfarm-construction, dubbed ‘NIMBY’ by their government-funded ‘green’ opponents. 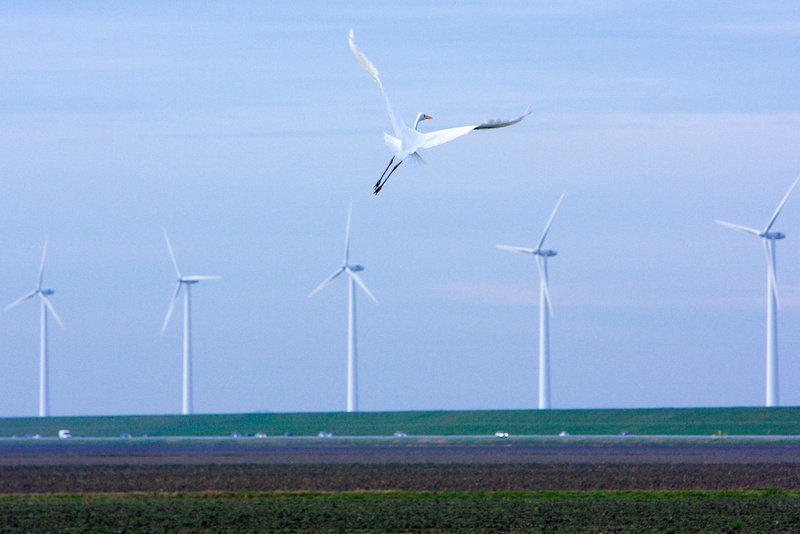 The great silence from the green movement, while being noisy in favour of ‘climate action’ (which in practice means: more windturbines in birdareas) makes them accomplices and sworn enemy of the committed naturalist. 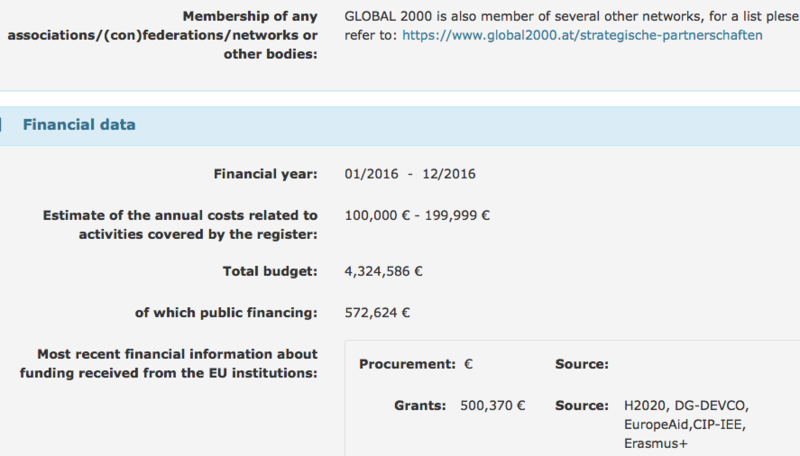 EDF’s European branch has 4 lobbyists- spending 750 thousand euro per year in Brussels to lobby the European Commission with the Baroness of Worthington. They hope to steal the fishing grounds of our fishermen (marine reserves), and impose unworkable regulations upon them (discardban) and to make energy more expensive (‘climate policy’) for low income-groups. It’s partner-group EDF-action has 1,3 million euro’s to spend in Europe for climate-agitation and obstructing our fisheries. 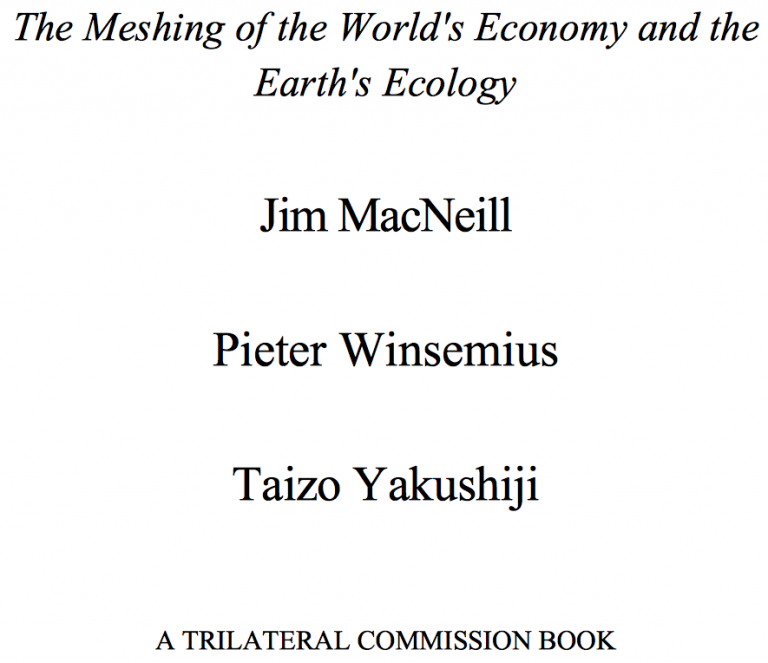 In this way they have merged with serving the interests of the globalist elite, that Wurster leaves out of the picture. So while the ‘DDT-Wars’ may be a truthfull account of the first years up to 1972, the untold story in the book may now be more important. Wurster acts, as if a toxic and persistent chemical that harms wildlife in it’s former unrestricted agricultural use (DDT), is of the same category as CO2. Ofcourse CO2 is not a pollutant in the classical sense with direct public health-effects. But the ‘gas of life’, making plants grow more efficiently in higher concentrations, and more drought-resistent. This is not an industry-funded conspiracy-theory, but basic biology. By upholding the myth of defending the public good and ‘The Science’ – mostly computermodel generated artefacts- the Wurster-types have driven me from identifying with ecologist activism to green scepticism. The same intellectual development has also been described in 2014 by ecologist Jim Steele in ‘Landscapes and Cycles‘. Too much climate ‘science’ is simply bogus, serving the advancement of academic careers. Jim Steele’s core-argument is that ‘climate’ hijacked the conservation-agenda to the detriment of effective conservation. I agree on this. When Wurster cites one of the most dishonest accounts of the climate non-debate ever, ‘Merchants of Doubt’ of marxist-historian Naomi Oreskes (who knows nothing of ecology, which is not her subject), this further underlines that Wurster should have updated his world views. Especially when he on his part, discredits opponents if they defend scientific disciplines which they are not educated in. Instead he seems to have remained in his Liberal Bubble for 50 years, and unable to revise his position that helped him create his personal status. This liberal conspiracy-theory of ‘Merchants of Doubt’ is a myth. This is obvious, if one simply compares the billions of euros that the climate-industrial complex receives from governments, ‘philantropic’ foundations and large corporations, with the meager millions from free market think tanks to ‘sceptic’ causes like the Heartland Institute. The eminence grise of opposition to environmentalists: S. Fred Singer, is entitled to his own view of the climate issue. If you believe his arguments are false, than engage in an open debate instead of a personal smear-campaign as Oreskes did. While the liberal mainstream-media loved this Oreskes conspiracy-theory, it is patently false. This I know from the inside as a national ‘skeptic’ -indirectly acquainted with Singer. There are no funds for skeptics, alas, while those with green extremist views are bathing in government subsidies and gifts from philantropy. It is however interesting to learn, that in the courtcase on DDT in 1972, Wurster not only found Norman Borlaug (Nobel Laureate for ‘the green revolution’ involving pesticide-based yieldgrowth in agriculture) but also Fred Singer, defending DDT.. Thus, his attitude towards Singer may be understandable. Nevertheless, a debate should be fought in it’s scientific merits and the arguments involved. This is a message of the DDT-wars that Wurster advocates. So why not the other way around? Why defend the Oreskes-style smear-campaigns? If your arguments are so convincing, how could a 95 year old physicist solely succeed in converting the world to his views, with a few dollars from the Heartland Institute? 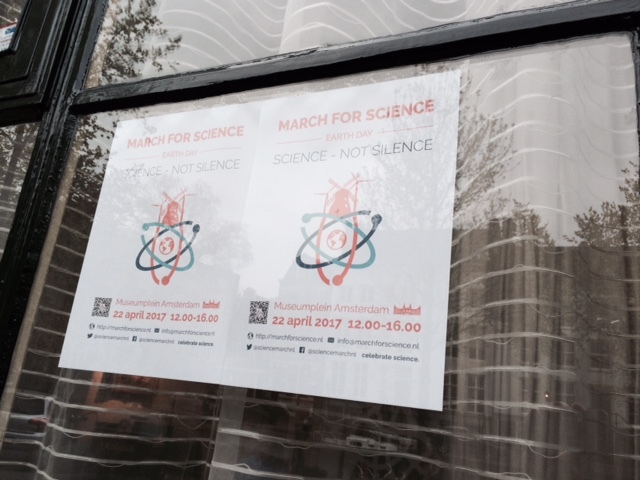 Why do greens need authority-arguments of a fabricated ‘97%-consensus’ and intimidation of credible scientists like Roger Pielke jr? The world changed in 50 years. The other way around is now more truthfull. Greens evolved to Merchants of Globalist-banker’s interests. It is now the Globalist Elite and oilmen/bankers, the World Economic Forum and their multiple foundations funding the climate movement, pe banker David Rockefeller and his Trilateral Commission to serve their agenda for unrestricted globalism and technocratic rule. MR Sustainability and also member of the Brundtland Commission, Maurice Strong was a Canadian Rockefeller-protegee and served as president of Petrocanada, the exploiter of Canadian Tar Sands. Does that sound ‘grassroots’ to you? He help seed the World Economic Forum that seeks to enforce global technocracy with multinationals like Paul Polman’s Unilever (2030 Agenda), of which WWF-vicepresident Anthony Burgmans first served as CEO, being payed millions of euro’s a year. The classical myth is that ‘The Environmental Movement’ developed after Rachel Carson wrote Silent Spring (1962), the epic book on toxic effects of DDT on birds after spraying Elms for treatment of Dutch Elm’s disease. 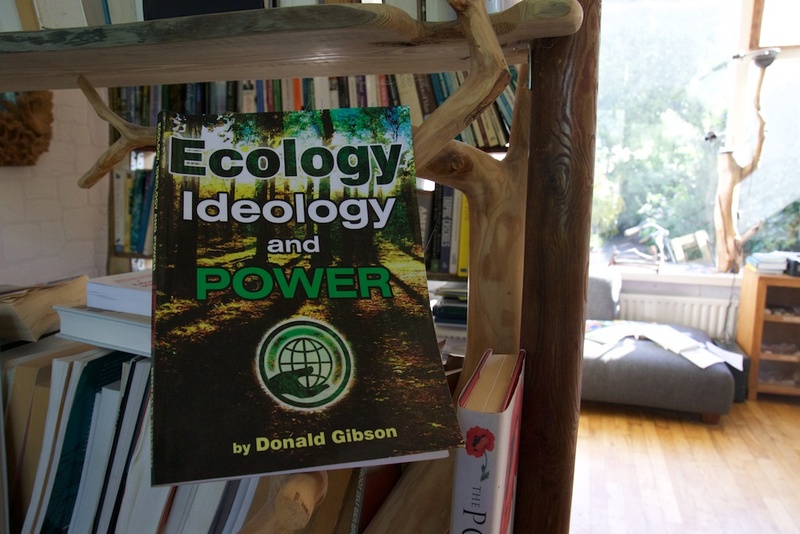 In reality Ecology and Environmentalism were equally funded and stimulated from the top, by the New York Elite since at least 1947. These fears also explain the equal funding of Norman Borlaug’s work by the Rockefeller Foundation as well as the ‘climate’ agenda, that merged from the same Malthusian worries: to enlarge the food-supply. Green liberals- like Bill Gates- continually argue that ‘too many people’ cause ‘the climate crisis’. This elite- involving also the Bush-family- merged their interests of forcing population control in the name of ‘nature conservation’ (Conservation Foundation, merged with WWF in 1987) with the popular concerns of (potential) harmfull substances. Prior to EDF coming into existence, Laurance Rockefeller had already served as chairmen for the White House Conference on Natural Beauty, appointed by Lyndon B Johnson, and chair of the ORRRC. Rockefeller’s green advocacy was already highlighted by Time Magazine in 1964, and it was the globalist elite (Julian Huxley) aquainted with the Osborn’s and Rockefellers, that had already erected IUCN (1948) and Prince ‘Bilderberg’ Bernhard’s WWF. Laurance Rockefeller already was boardmember of the ‘Resources for the Future’, which was created by the elitist Ford Foundation. Thus it may not be a coincidence, that it was the Ford Foundation that was the first large donor to EDF with 100 thousand dollars. The created EDF served in it’s name as inspiration to the Dutch ‘Milieudefensie’, (Environmental Defense) a now partner-organisation of Friends of the Earth (FOE), a group that was erected in the USA and adopted Amory Lovins as one of it’s activists. It was Robert O Anderson of the Aspen Institute and the Arco Oil and Gas-company that both helped financing Earth Day (22 april 1970) and provided the seed money for FOE, than a British organisation. 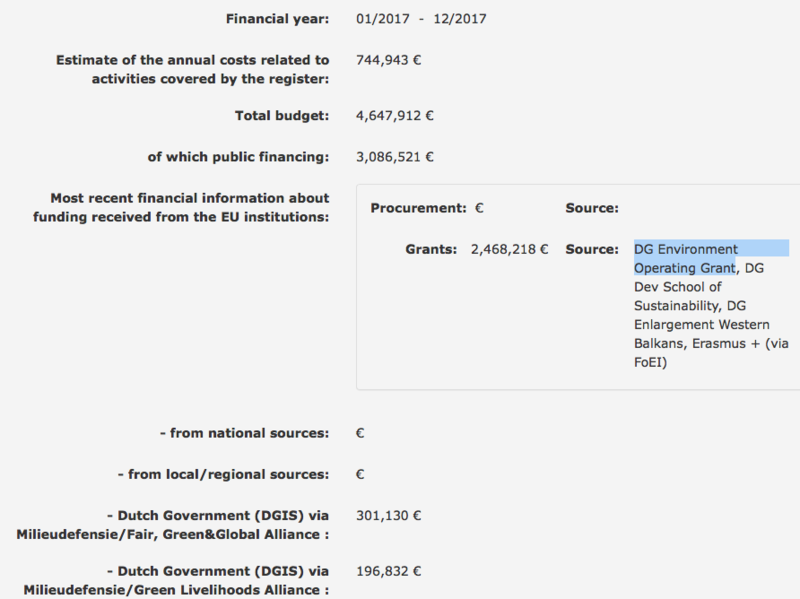 FOE in Europe and Holland is now mostly a government-funded organisation serving the interest of environmental bureaucracy, where membership-money delivers less than a tenth of total income. The Aspen Institute also supported the alarmist Global 2000-report for the Carter Administration (1977), predicting the extinction of 20% of all species by 2000, a prediction generated by Thomas Lovejoy of the green multinational WWF. This green multionational was then presided by former Shell-CEO John Loudon. The Dutchman Loudon also served in David Rockefeller’s advisory board of his Manhattan Chase Bank, the bank of the UNEP, now JP Morgan Chase. How grassroots does that sound? This American/CIA-effort also erected the Global 2000-group in Europe in 1982, that is now a government- funded branch of the already EU-funded FOE. I had not known that DDT was mostly used in the cotton belt, where 85 % of all US-produced DDT was applied. However, it’s use as a miracle-substance had already peaked in the late ’50s. 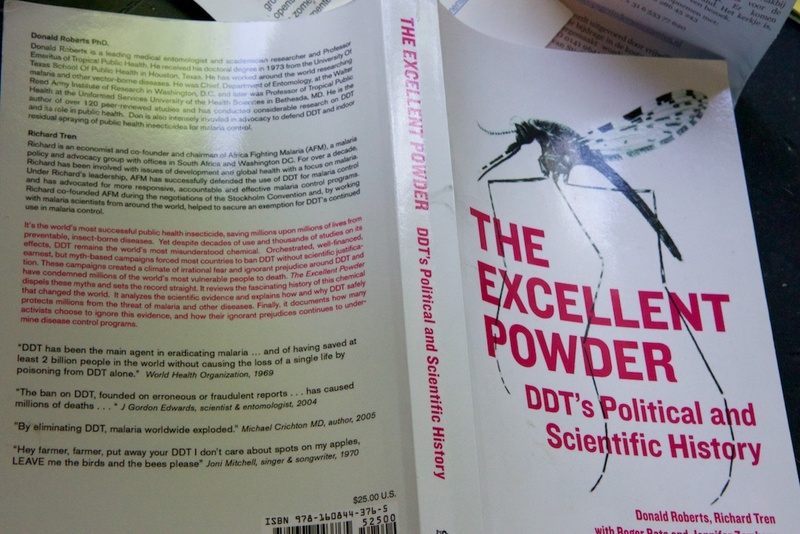 Having read the ‘sceptic’-literature on DDT as well, the Malaria-argument now haunts the EDF’s and EPA’s-legacy as detailed in ‘The Excellent Powder’ (see above). Wurster dismisses this accounts, stating that Malaria was eradicated without DDT in pe Mexico. In 2001 the POP-conference (persistent organo-chlorine pollutants) in Stockholm restricted it’s use for anti-Malaria only. To my knowledge, the jury is still out whether bans on DDT may have caused unneccesary deaths of people. And the utility of it’s restricted use in the control of Malaria is uncontested. One can be opposed to Wurster’s uncritical partisan-stance in the climate issue, while agreeing with his take on unrestriced DDT-use, and the importance of nature conservation in general. Nevertheless, the advocated open attitude to counter-arguments is what is now sorely missed among most oldschool-environmentalists. This attitude creates a backlash. This growing protest against environmentalists- who are now the establishment themselves with huge public funds serving governmental interests- is not part of a Doubt-generating conspiracy. It is a question of civil liberties, cost-effectiveness of policies and common sense. It means the greens should re-examine their ideological positions, and align it with empirical evidence on the effectiveness of the policies they propose. Also some of the green historical revisionism should receive critical scrutiny. Let us check if romantic ‘grassroots’-stories do align with historical reality. The current green movement has become the enemy of free citizens and nature conservation. It became the bureaucratic power -funded by un-elected bureaucrats and corporate interests- that it once stood up against. Wurster’s account of the early days is therefore usefull. Because by telling the story of the Genesis of EDF, it outlines the difference between young enthousiasts with genuine interest in conservation. And self-serving Liberals with too much ‘free’ money in their hands, knowingly and unknowingly promoting corporate and globalist interests to the detriment of nature. Next → Next post: Peperduur Actieplan Broedvogels Waddenzee anti-wetenschap..
Ga je dit artikel ook internationaal aanbieden aan Engelstalige bladen, Rypke? Ik heb het gedeeld met Bennie Peiser van de GWPF, waarmee ik in dat ‘industrie-gefinancierde’ complot zou zitten van misdunkers. Ik lees geen mainstream-nepnieuws, laat staan engelstalig nepnieuws, dus zou niet weten aan welke..